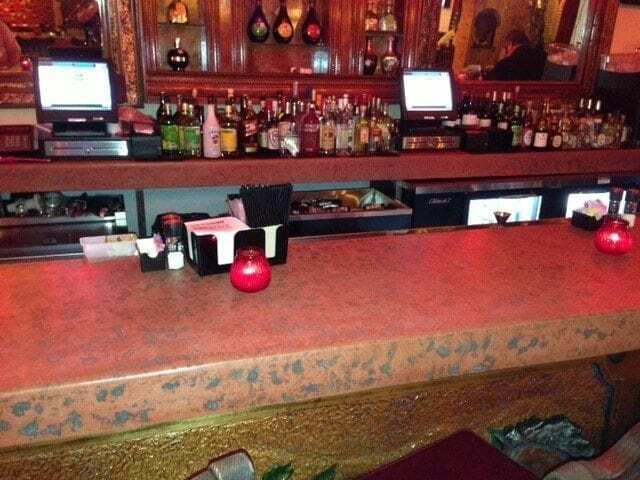 When El Tiempo Cantina, in Houston, Texas was being designed there was a call to a have a rustic Spanish feel from floor to ceiling. The countertops were no exception and, so, Spencer Lippincott with All Out Construction, of Houston, undertook the job of constructing custom concrete countertops that would complement the design theme. The main bar countertops were formed and poured in place using SureCrete Design Products’ Extreme Series GFRC Backer Mix with Integral Color. The unique pitted texture was made by adding rock salt to the mix and washing it out once set. The pits were filled with non-sanded grout. 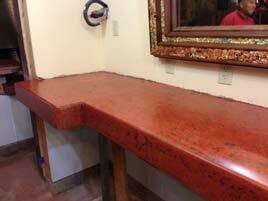 The countertops were polished and then sealed with XS-327. This hybrid water based polyurethane provides a matte finish and commercial grade abrasion resistance, a great choice for a restaurant. These substantial concrete countertops are 2 inches thick with a 4-½ inch face profile and each pour was done with 5 bags at a time! 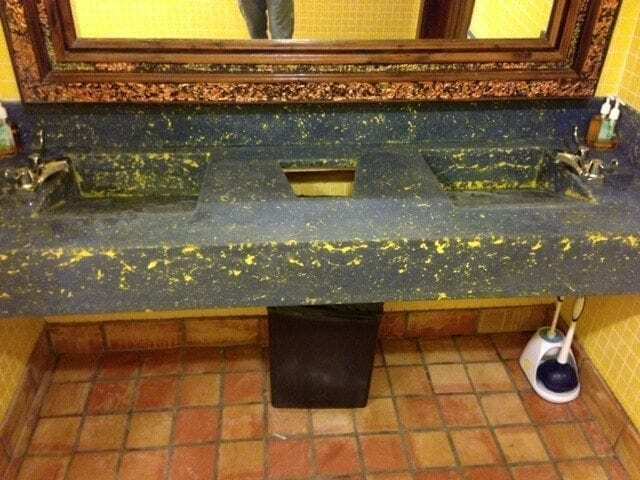 The bathroom countertops have integral sinks and a three piece backsplash with the same texture as the main bar countertops, thus the same rock salt method was utilized. The eye-catching color used in the pits perfectly matches the wall color. Spencer accomplished this feat by blending paint pigments into the non-sanded grout that filled the holes. This one month custom concrete countertop project was completed during the very cold month of January and necessary precautions were taken. All Out Construction had to control the climate in the restaurant with propane heaters so the countertops would cure appropriately and, since they were poured in place, a close eye was kept on the other crews working on site to insure no damage was done. It has been almost a year since completion and, to date, there have been no problems or cracking reported.